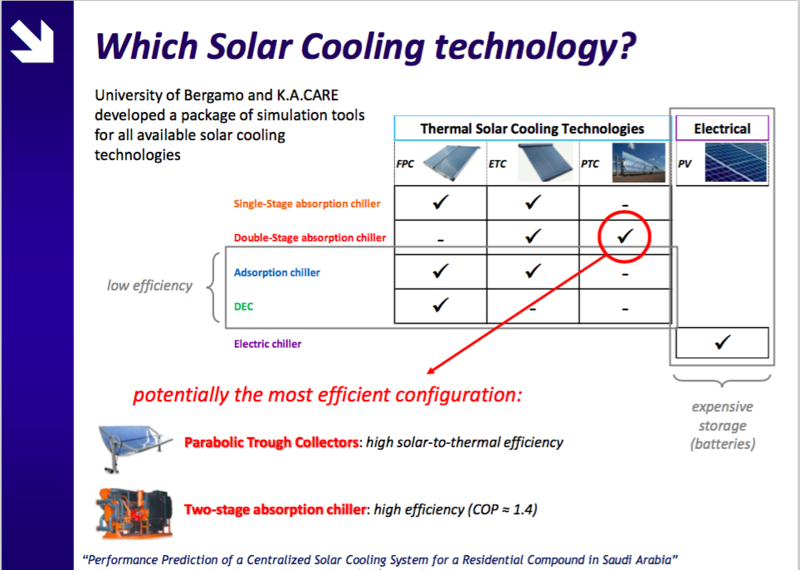 Instead of running air conditioners on fossil-fueled electricity, University of Bergamo researchers Guiseppe Franchini and Antonio Perdichizzi propose an alternative cooling technology; using a thermal form of solar energy to provide solar district cooling in the Saudi Kingdom. Their study of the economics of solar district cooling was published at Energy Conversion and Management, in Performance prediction of a solar district cooling system in Riyadh, Saudi Arabia – a case study. 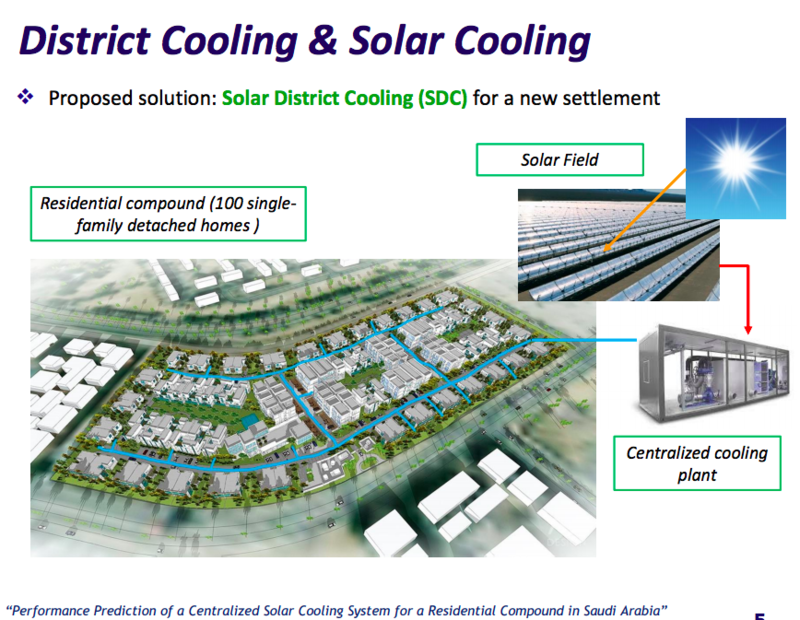 “Our proposed solution is a solar district cooling system for new settlements in Saudi Arabia. This concept combines solar cooling and district cooling,” said Franchini. The study has implications for the climate. With one of the world’s highest per capita energy consumption rates, cooling accounts for more than 70% of electricity use in Saudi Arabia’s year round hot climate. But the Kingdom still produces this electricity almost entirely using fossil fuels, despite its abundant solar resource. 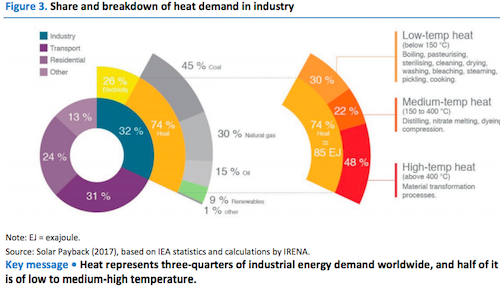 Using solar heat for district cooling has seen increased interest as the need for cooling is expected to grow as the climate heats up, not only in Saudi Arabia, but in many regions. “Climate change is a good challenge because of the increase of the cooling load expected due to increasing temperatures,” Franchini added. Early in their investigation, Perdichizzi and Franchini determined that solutions based only on PV exhibit some weakness points: the main critical issue is related to the electric storage by batteries for large size systems. So their focus became solar thermal technologies. But which technology would be best? “Our investigation was comparing solar district cooling from parabolic trough collectors or solar cooling from evacuated tube collectors,” said Perdichizzi. Since an absorption chiller does not require very high temperatures for cooling (about 170°C for double-stage and 100°C for single-stage), the obvious choice would seem to be the typical solar thermal rooftop collectors, such as is popularly used to heat swimming pools or to make hot water in homes at comparatively low temperatures. Yet after comparing the two, they found that a parabolic trough solar field would be the most economical. In this case the solar collectors would not be connected to a power block, as they would be for generating electricity (normally at about 400°C in trough CSP). 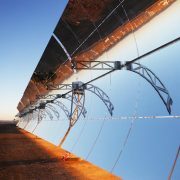 Instead, the curved mirrors would simply be used to concentrate solar energy in order to heat water to just 170°C. The study assumed a proposed district of 100 buildings, with each structure housing up to ten people. Using parabolic trough collectors, the solar field needed would occupy about 9,000 sq meters: a bit larger than a football field. But a lot more space would be needed, about 15,000 sq meters, to supply the needed thermal energy from evacuated tube “rooftop” solar collectors. 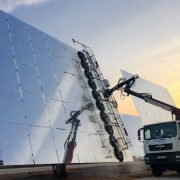 The solar field would supply a two-stage absorption chiller, at less than half the temperature produced by trough CSP for generating electricity in a power block. “The two-stage absorption chiller is driven by hot water at just 170°C and produces chilled water at 5 or 7°C which is used for district cooling,” explained Franchini. Most cost-effective way to cover a very brief peak load? The researchers chose not to cover 100% of the annual cooling need, because the peak load, 4-5 MW, is typically only for a week in summer. An auxiliary electric chiller would cover that brief peak. “Typically a solar fraction of 100% is too high because it means oversizing the solar field – yet the absorption chiller would only be used for a few hours per year. So the design is for a cooling solar fraction of about 80%,” Perdichizzi explained. The insulated pipelines of 12,000 meters throughout the district constitutes cold storage in a sense, with a temperature loss of just 1-2 degrees overnight. The researchers say solar district cooling could be either designed into a new district from scratch or retrofitted to existing districts, and district cooling could be applied at different scales. “This technology could be applied at different sizes. For different communities whether small, medium, or large. Of course all this equipment should be scaled up increasing the size,” said Perdichizzi. They modeled two possible sites, on the coast at Jeddah, and inland at Riyadh. Although initially appealing (a source of water), Jeddah proved less suitable, due to the detrimental effect of the high humidity levels close to the sea, which reduced the available solar resource. They used models to predict the performance of the system, by the hour, throughout all of the year, to calculate the exact saving of energy and fossil fuel and carbon dioxide, to cost and demonstrate the technical feasibility of the entire system, in partnership with King Abdullah City for Atomic and Renewable Energy (K.A.KARE). What makes their study unique is that their first aim was to optimize the energy consumption of the villas served within the district to create a comprehensive district cooling plan. 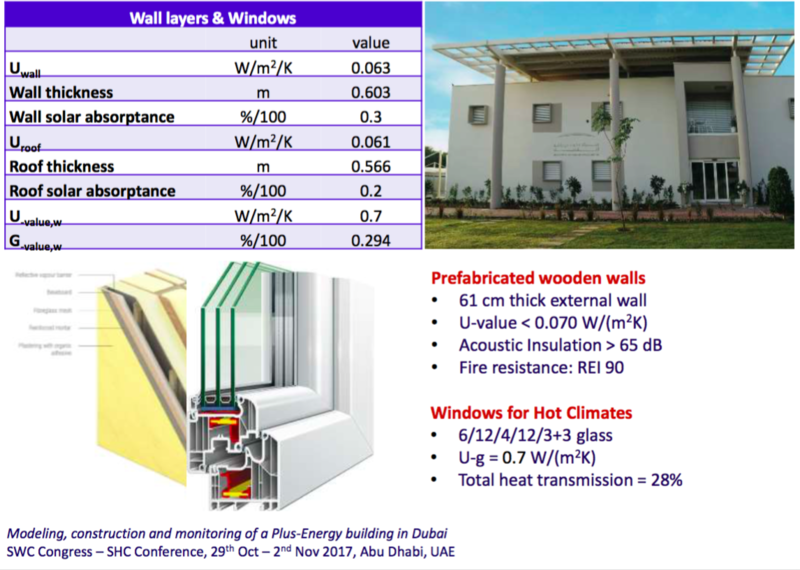 To this end, the two researchers leverage their previous experience in architectural energy efficiency, as the designers of the first Passive Haus in Dubai, which is a fully autonomous net zero design of a 700 square meter building; tapping into that related expertise in investigating district solar cooling. ← Previous Previous post: Can California Really Meet its 100% Clean Energy Target?